"Good nutrition combined with a healthy lifestyle can help to nudge the body back into balance. Whether you have a particular health concern or are just looking for general nutritional advice, my mission is to inspire you to take control of your health and to be as healthy as you can be." Nutritional therapy uses nutrition science in the promotion of health and well-being. It is considered to be a complementary therapy which means that it can be used alongside conventional medicine. 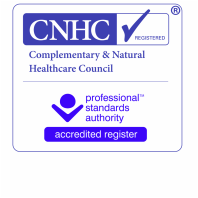 Registered Nutritional Therapists help to identify potential nutritional imbalances and understand how these may contribute to an individual’s symptoms and health concerns. This approach aims to help support the body towards optimal health and vitality. * I am trained in the nutritional application of Functional Medicine. Areas covered: Brierley Hill, Dudley, Hagley, Halesowen, Kidderminster, Kingswinford, Kinver, Stourbridge, Wolverhampton, Wombourne.